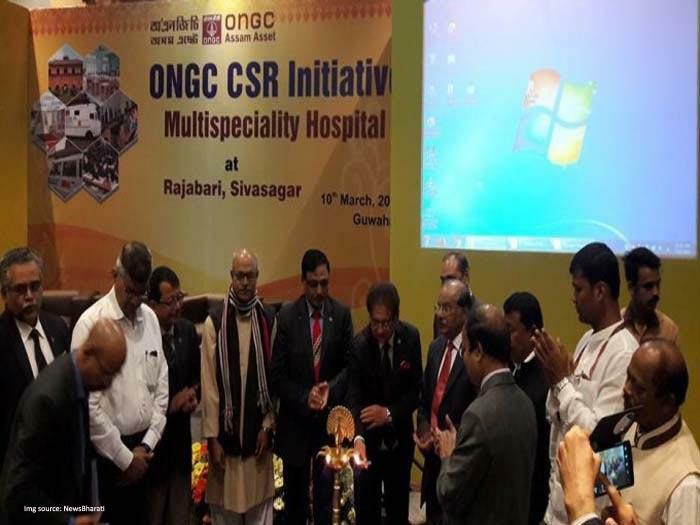 State-run Oil and Natural Gas Corporation (ONGC) has signed an agreement with Hedgewar Hospital in Aurangabad to build a 300-bed multi- specialty hospital at Sivasagar in Assam at investment of Rs 313 crore. The proposed hospital is part of the CSR initiative of the oil and gas major and will come up at its oil and gas fields in the NE state. "The hospital is part of ONGC's corporate social responsibility (CSR) and will come up at Rajbhari Sibsagar in three phases," Dr Anant Pandhare, medical director of Hedgewar Hospital said in Aurangabad. He expressed hope that the proposed hospital will go a long way in meeting shortage of good medical facilities in entire Assam and the neighbouring states. When contacted, an official of the ONGC Foundation told PTI from New Delhi that they roped in the Babasaheb Ambedkar Vaidyakiya Pratishthan (BAVP)-run Hedgewar Hospital as the COM (construction, operator and management) partner for the proposed hospital and the agreement for this was inked on March 10 in Guwahati." The ONGC official also said the first phase will have 100 beds and the company will spend around Rs 100 crore for this. To construct the hospital, the company has bought 50 acres near its Sivasagar oil and gas fields. The first phase will take at least two years to commission, he added. The ONGC Foundation official said so far the company has spent Rs 380 crore in CSR and hopes to spend Rs 500 crore by the end of the outgoing financial year. Last year, its CSR spend stood at Rs 421 crore, he added. Dr Pandhare said this would be perhaps the biggest project under CSR in the country, especially on the healthcare front. He also said the hospital will probably start in mid-2019. The RSS-affiliated BAVP runs a 400-bed multi-specialty hospital in Aurangabad under the name of Hedgewar.